Two major implications of PSD2 are Access to Account and Strong Customer Authentication. PSD2 also requires TPPs to meet strict criteria and maintain very low fraud rates in order to stay active in the marketplace. In many ways, these requirements upend the financial ecosystem by holding various players responsible for different aspects of the payment process. This makes it difficult for all parties involved to prevent fraud and at the same time provide customers with a positive user experience. 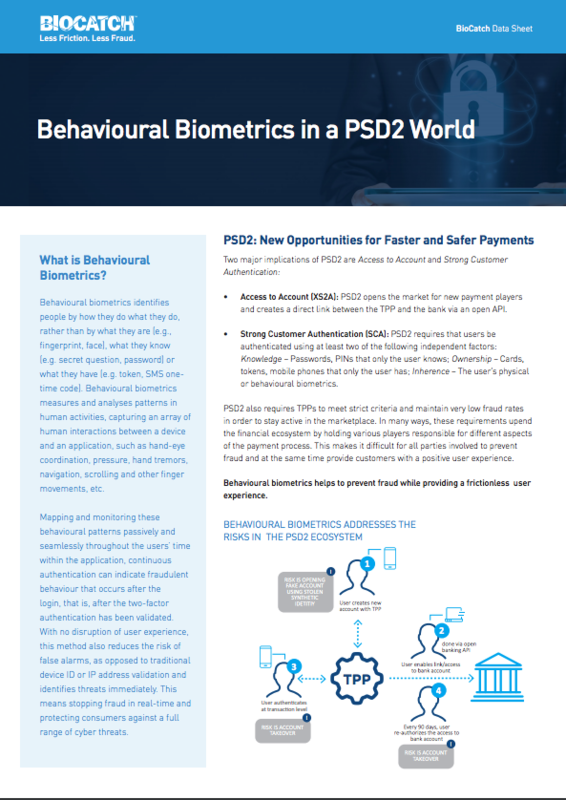 Behavioural biometrics helps to prevent fraud while providing a frictionless user experience.